When I was still eating meat I enjoyed curry chicken or chicken curry, a common delicacy in Caribbean, South Asia, and India. Since opting out of chicken and red meats, I have found myself experimenting with the spice mixture known as curry powder in many of my seafood and vegetarian dishes. Tonight I decided I wanted salmon cakes, but added curry to the mix of spices. It was quick and easy. 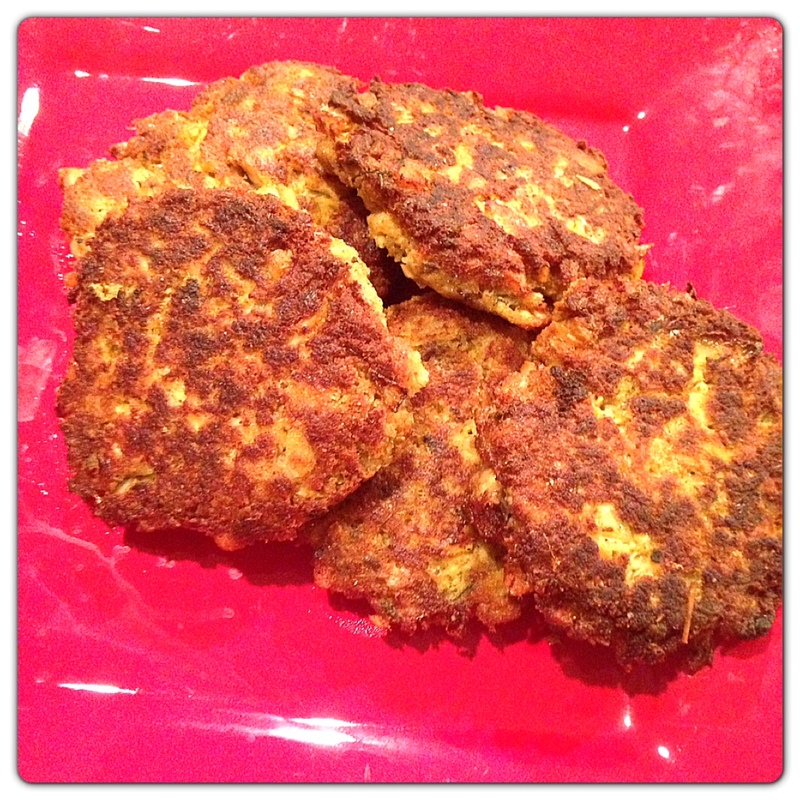 I used my regular salmon cake recipe and added curry and ginger spices to it. It turned out exceptionally well. I pan fried the salmon cakes in olive oil and it really sealed the ingredients and spices together. You can use either fresh salmon or canned salmon. If you use canned pink salmon (wild caught) be prepared to find bones and if you do, its ok! Both fresh and canned salmon have health benefits due to their high concentration of omega-3 fatty acids, but salmon canned with the bones also provides a hefty dose of calcium. Canned Salmon with bones usually are not noticed because over time they become so soft they literally melt in your mouth if left alone and cooked too. It probably will be a waste of cooking time trying to pick them out. Mix together all ingredients in a large bowl. Shape into 4-6 patties. In a large skillet heat oil over high heat. Cook the patties until browned on both sides, about 8 minutes. Drain briefly on paper towels before serving. Oooh I love salmon!! This is something to try!! Great, let me know how it turns out! Enjoy!